I’m always on the lookout for papercraft ideas that make great Christmas gifts. Simple but lovely creations that are perfect to give to a variety of people in your life (you know the ones … colleagues, hairdresser, doctor…). Every year, calendar tabs are one of my go-to projects. You can buy them from a variety of online stores. I prefer the ones that come individually sealed (rather than tearing them from a larger pad). This year I got mine from ebay and as well as the usual white, I also got a packet in Kraft colour – just for something different! 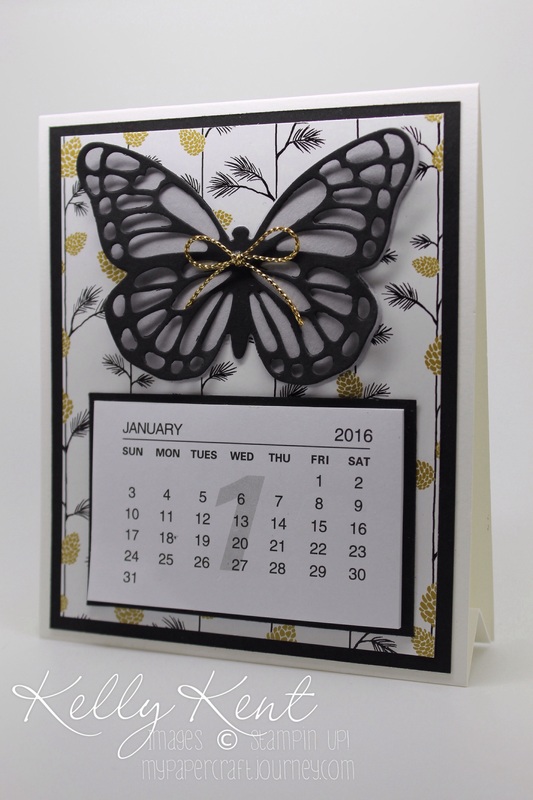 In previous years I’ve made card front calendars with fridge magnets attached, easel calendar cards and post it note versions. This year, I made a stand-up calendar using a simple triangle design. I decorated them with DSP from the 2015 Holiday catalogue, but tried to keep them from being overtly “Christmassy” since the recipient is going to be looking at them long after the holidays are over. I am in love with the Winter Wonderland DSP – such a lovely texture & pattern assortment. How cute are the deer from the Home for Christmas DSP??? I’ve also added Gold Cording Trim bows to the calendars for a bit of year-round bling! Fold cardstock into a triangle shape, with a mountain fold underneath. Adhere the little flap to the inside of the triangle. that ebay connection doesn’t work any more. Can you tell me the exact wording you used as I can’t find them. Thank you so much as I would love to do something like this this year. 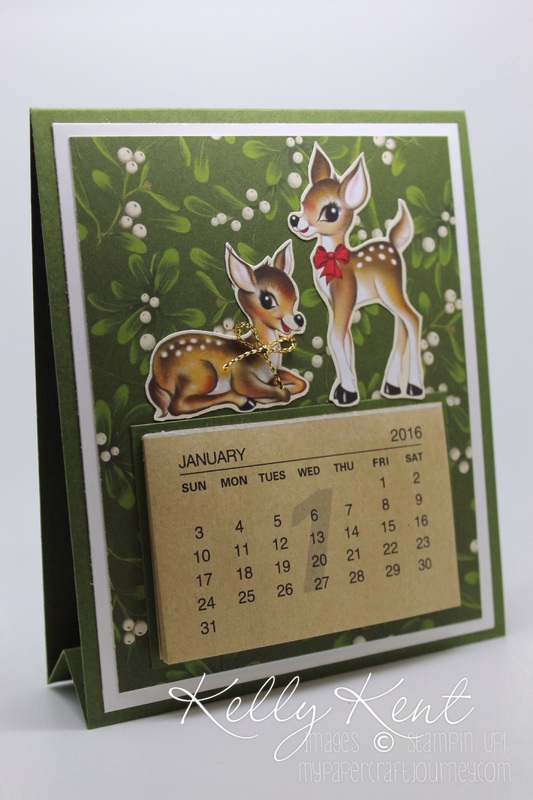 Hi Caroll – if you search for ‘2017 calendar tabs’ or ‘2017 mini calendars’ you should find lots of sellers. If you’re in the US, there’s lot more local sellers than I have in Australia!